In Randy Sharp’s 12 years of hobby woodworking at the Sawdust Inn, there have only been two dream projects on his bucket list: a full-sized roll top desk and an heirloom grandfather clock. 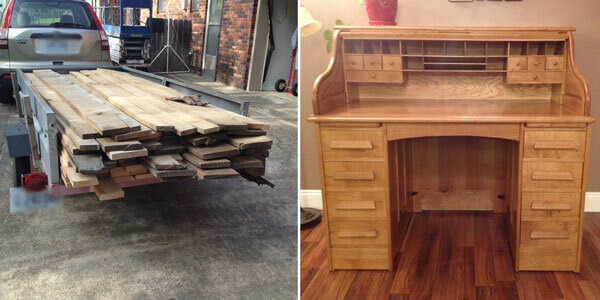 Randy recently finished up the roll top desk and it turned out great! 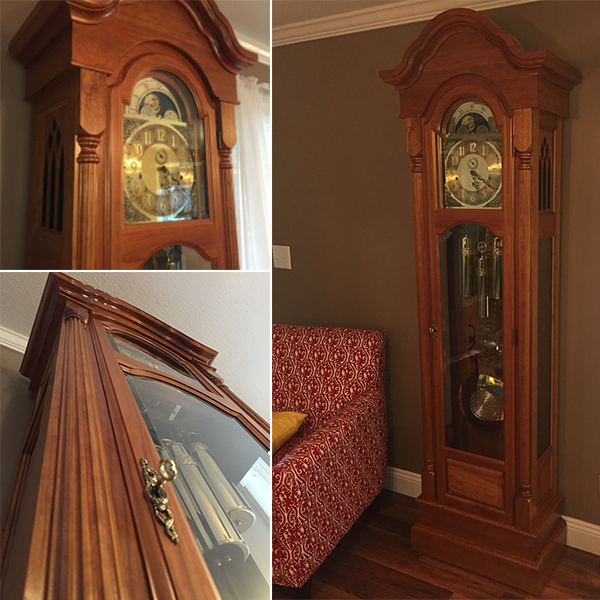 He’s now moving onto a grandfather clock build, specifically the Columbia grandfather clock from our popular Cooper Collection of woodworking plans. Randy believes one of the most elegant pieces of furniture to occupy a home is the grandfather clock. And we agree! We’re excited to follow him through the process of handcrafting more than 80 pieces out of hand-selected cherry wood. 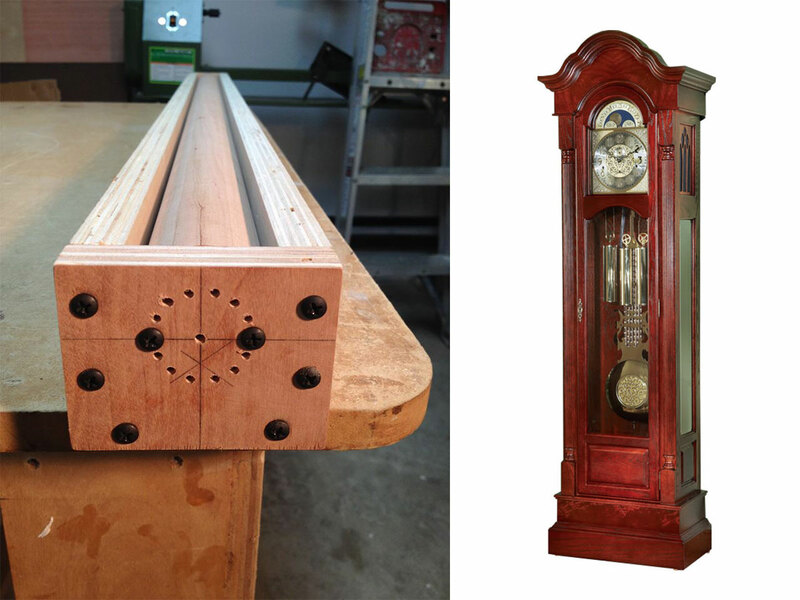 Randy is going to create a series of blog posts and short how-to videos on the grandfather clock build. We invite you to follow along and get an inside look at the detailed craftsmanship required to finish this advanced clock project. Stay tuned for the first major step in the build – constructing the main frame of the grandfather clock, which requires a first-time woodworking technique for Randy! Click here to see more on the blog at Sawdustinn.com!